After a 15-year-old girl was shot and killed in the parking lot of Central Academy of Excellence Tuesday night, the head of security for Kansas City Public Schools said district leaders are working to prevent more arguments that end in gunfire. KANSAS CITY, Mo. — After a 15-year-old girl was shot and killed in the parking lot of Central Academy of Excellence Tuesday night, the head of security for Kansas City Public Schools said district leaders are working to prevent more arguments that end in gunfire. Luis Cordoba said that conflict resolution is part of the district's curriculum in the classroom. KCPS works with Centers for Conflict Resolution (CCR) in some of its schools, he said. The shooting, which killed Anjanique Wright, stemmed from an earlier argument inside the school, according to police. Wright was not a KCPS student but was attending a basketball game. Two people were taken into custody Wednesday afternoon. Their names will be released after charges are filed, police said. Cordoba said the deadly shooting has traumatized the district: "The superintendent, my director of behavioral health, our social workers." KCPS Superintendent Mark Bedell said at a news conference Wednesday that he was frustrated by the gun violence in the community. "Gun violence is not a KCPS problem," he said. "Gun violence is a community illness that is impacting the ability of our public schools to improve and thrive." Kamisha Stanton, violent crimes program coordinator for Kansas City, Missouri, said that the teen's death is even more heartbreaking because she was shot and killed while taking steps toward conflict resolution. Stanton said that people should remember there are places in Kansas City that exist to de-escalate tension. Stanton said she personally helps place people with the right organization. “What I really hope is Central (Academy) has some resources there, counseling and things like that, because if the kids are in school and we don’t talk to those kids right now, we’re looking at an epidemic," Stanton said. District leaders want to remind the public that to get help, you must be willing to seek it. 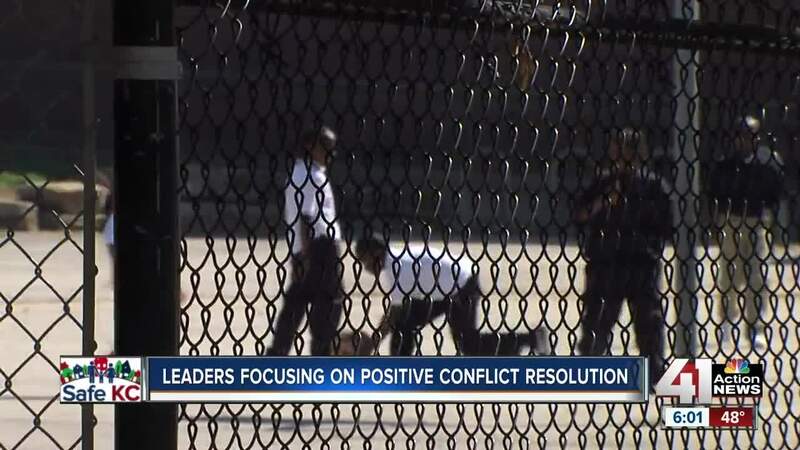 “We can’t force families to do something they’re not happy doing, don’t want to do, or simply don’t know how to go through that stage of resolving a conflict,” Cordoba said. There are several organizations that offer conflict resolution services, from mediation to financial assistance for relocation if you feel threatened. To find an organization, email Stanton directly at kamisha.stanton@kcmo.org.